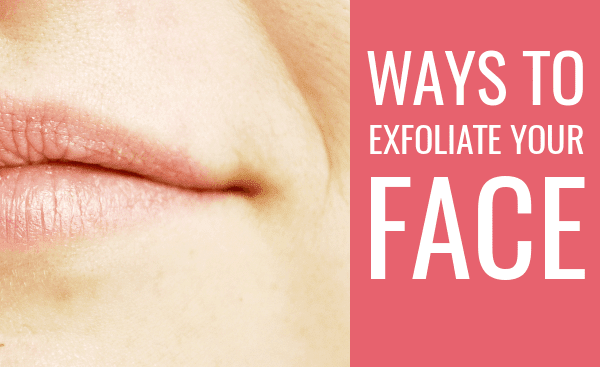 Both men and women should frequently exfoliate their body, including their face. It’s not only the fact that exfoliation prevents ingrown hairs and it’s the first remedy that you should try against ingrown hairs. It’s also the fact that your skin will thank you for it by being more smooth and better looking. With exfoliation you basically remove the dead skin cells that accumulate at the surface of the skin. Exfoliation done on a permanent basis, in the cold season as well as the rest of the year, has amazing year-round benefits. If you have perfect skin and your face doesn’t have any problems or imperfections, then a good facial scrub can keep your facial skin clean and exfoliated. And if you use a good scrub and you use it daily, it can be enough for a skin without problems. A good scrub can remove dead skin cells. Besides a facial brush, there might also be an additional one for the body. Facial cleansing brushes are the ultimate facial exfoliation method. If you don’t have acne, you can get a cheaper one, that costs around $30. If you have acne or zits or breakouts and you don’t want things to get worse, you’ll have to spend around $150 for a good product. If you don’t have serious ingrown hairs, just some tiny black points at the surface of the skin that aren’t even visible until you get really close to the skin, a body scrub could be perfect for you. It smells amazing and it’s great for daily usage. Exfoliating gloves are gentle on the body, too. But they’re also really efficient. I’d advise you to use your glove on the legs at least once every 2-3 days. Chemical exfoliation might be great for those who have had ingrown hairs for a long time, who have problems that cannot be fixed with a glove or a scrub. Chemical exfoliation simply means using a product that contains alpha-hydroxy acids or salicylic acid. Chemical exfoliation works best for people with serious ingrown hairs because it disolves the dead skin cells. Sometimes that also leads to dry skin so you should moisturize daily. Men and women are prone to getting breakouts on their backs or bacne, as it’s also called. The first step is getting an exfoliating back scrubber. There are two options: loofahs and natural sea sponges for a lighter exfoliation and bristles or a scrubber with a rough surface. And there are scrubbers that have two sides. What is your secret for a great whole body exfoliation? I’m so sorry to hear about it, I had acne when I was a teenager and even nowadays I get a zit or two frequently but it’s much better than it used to be. Unfortunately, I’m not an expert in acne. I haven’t found the bulletproof treatment for acne. There are 5 pieces in that kit so you need to read about them and learn how to use them. It’s also cheap so you don’t have anything to regret. But I thinks it’s going to helpful. I also recommend reading the reviews from that page. There are so many helpful recommendations and I think that’s where you’ll find your answer. Let me know if there’s anything I can help you with Manpreet. Best of luck!